1483369374 -Empower your students to become part of the solution. With a clear and upbeat voice, author Anna Leon-Guerrero’s thought-provoking overview of social problems challenges readers to understand and recognize social problems in their communities and inspires them to become part of the solution. 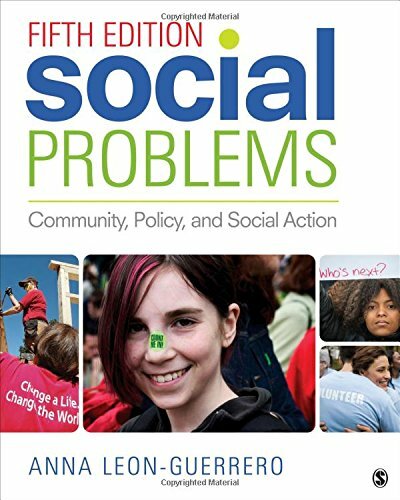 The Fifth Edition of Social Problems: Community, Policy, and Social Action goes beyond the typical presentation of contemporary social problems and their consequences by emphasizing the importance and effectiveness of community involvement to achieve real solutions. With an overarching focus on social inequalities and policy, this proven text provides a platform for discussion that encourages critical thinking and inspires hope.